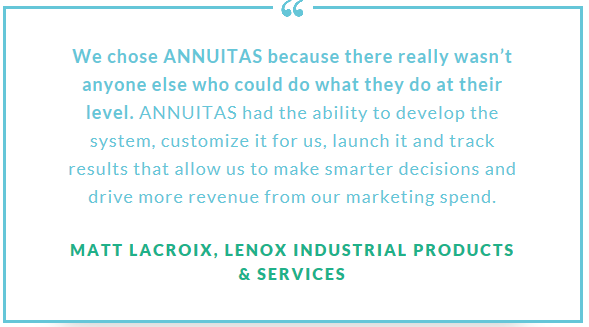 ANNUITAS is a demand generation marketing agency headquartered in Atlanta (with an additional office in Portland). 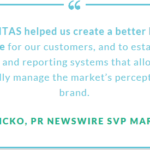 We develop and build buyer-centric Demand Generation programs for our clients that drive sustainable revenue. Our Demand Process™ approach aligns people, process, content, technology, and data to your buyer and makes your results profitable and predictable. Phase 2 – We recommend and deliver Demand Generation Strategy services that include Buyer Insights and persona development, Lead Management Process, Content Strategy, and Marketing and Sales Roles. Phase 3 – Develop the program to match your unique plan to your marketing automation instance – as well as across your other marketing technologies – in order to drive pipeline and revenue. 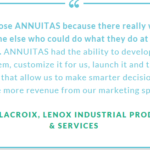 Mission Statement: ANNUITAS Transforms Demand Generation for clients.